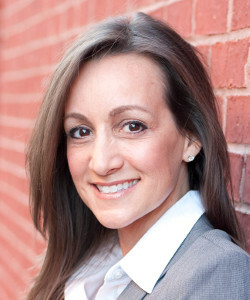 Sunday, September 22, 2019 | 3:00 p.m. – 5:30 p.m.
SPEAKER BIO: Allison Edwards LPC, RPT is an affiliate professor in the Human Development Counseling department at Vanderbilt University, the author of Why Smart Kids Worry and Worry Says What? and the creator of Anxiety Tracker an iPhone app that helps track anxiety. Allison received her graduate degree in Counseling from Vanderbilt University and is a National Certified Counselor, Licensed Professional Counselor, and Registered Play Therapist. Allison has over 20 years experience working as a school teacher, school counselor, child/adolescent psychotherapist, and educational consultant to schools throughout the country. Allison travels both nationally and internationally training professionals in the areas of empowering anxious children in the classroom, managing the emotional needs of students, recognizing the social/emotional needs of gifted students, and sharing how educators can talk to parents about student anxiety. Allison helps school leaders understand how social/emotional differences can be supported in their neurologically diverse student populations, and provides consultation and staff development on how to effectively improve emotion regulation in the classroom. ABOUT THIS SESSION: Join Allison as she presents 15-Minute Counseling Techniques that Work. Feel like you don’t have enough time to do counseling? Participants will learn 15 counseling techniques that can be implemented in less than 15 minutes from when a student walks into your office. The program can be suited to elementary, middle, or high school counselors (or a combination of all) and participants will not only learn the strategies but will be doing them alongside Allison as she teaches how to implement them. Get out your Play-Doh! This hands-on, experiential program will revolutionize your counseling department and help kids leave feeling empowered. 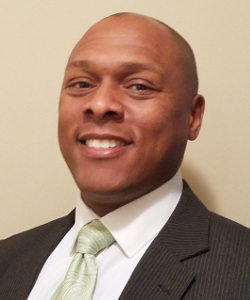 SPEAKER BIO: Robert Jamison is currently the Coordinator of School Counseling Services at the Virginia Beach City Public Schools. He has numerous years of experience as a School Counselor and also as a Guidance Department Chair. He received a Bachelor of Arts in Psychology from the University of Virginia and his Master of Science in Education in School Counseling from Old Dominion University. Robert has spoken at numerous state and national conferences. Section 504 eligibility explained: What to review and who is Technically Eligible? Throughout each section of the pre-conference session, participants will be encouraged to share current practices and collaborate with professional peers. SPEAKER BIO: Amie Dean, M.Ed., B.A. has worked in education for 25 years. She has experience teaching at all levels, and has taught both special and general education. She was with Fulton County Schools (GA) for ten years, four of which she provided support to teachers and students as the Student Support/RTI Coordinator for her middle school. She holds a Masters degree in Education and is Nationally Board Certified as an Exceptional Needs Specialist. With 25 years experience as an educator and 14 years as a professional consultant, Amie has worked with thousands of teachers, counselors and administrators in over 250 districts to improve best practices in behavior support, student engagement, and differentiated instruction. Amie has trained with Dr. Rick DuFour, Dr. Kay Burke, Dr. Spencer Kagan, Dr. Ruby Payne, and many others. ABOUT THIS SESSION: Join Amie as she presents Creating Trauma-Sensitive Classrooms. In today’s classrooms, more and more students are living in or recovering from trauma and chronic stress. Many educators feel overwhelmed and unprepared to deal with the behaviors that are a result of these situations children are facing. This session will provide participants with concrete strategies that can be implemented in classrooms to support students by building relationships, trust, and teaching coping strategies. ABOUT THIS SESSION: Join Melissa as she presents The Psychology of Productivity. Getting organized at work is an emotion-laden journey for many people. In this one-hour keynote, Dr. Gratias describes five case studies of clients whose experiences and results will resonate with and inspire you. Sometimes the biggest hurdle is your own brain. 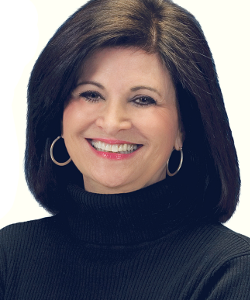 SPEAKER BIO: Michele Borba, Ed.D. 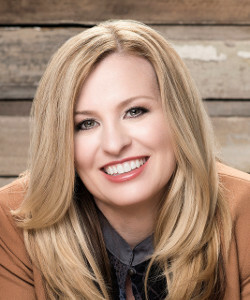 is an internationally renowned educator, award-winning author, and parenting, child and bullying expert recognized for her solution-based strategies to strengthen children’s empathy, social-emotional intelligence and character, and reduce peer cruelty. A sought-after motivational speaker, she has presented keynotes throughout North America, South America, Europe, Asia, the Middle East, South Pacific and served as a consultant to hundreds of schools and corporations, including the Pentagon and 18 US Army bases in Europe and the Asian-Pacific. Her proposal: “Ending School Violence and Bullying” (SB1667) was signed into California law in 2002. She offers realistic, research-based advice culled from a career of working with over one million parents and educators worldwide. Dr. Borba is a frequent NBC contributor who has appeared 140 times live on the TODAY show and countless other shows including: three Dateline specials, Dr. Phil, and many others. She has also been featured in TIME, Washington Post, Newsweek, People, U.S. News & World Report, New York Times, Reader’s Digest, Globe and Mail. She’s a media spokesperson for numerous corporations, and a consultant to McDonalds and Disney. Borba is the award-winning author of 24 books translated into 14 languages including Nobody Likes Me, No More Misbehavin,’ Don’t Give Me that Attitude!, Building Moral Intelligence, 12 Simple Secrets Real Moms Know, Parents Do Make A Difference, The Big Book of Parenting Solutions, The 6 Rs of Bullying Prevention, and UnSelfie: Why Empathetic Kids Succeed In Our All-About Me World. She is the recipient of numerous awards, including the National Educator Award (presented by the National Council of Self-Esteem) and the National Child Safety Award of 2016 by Child Safety Network. 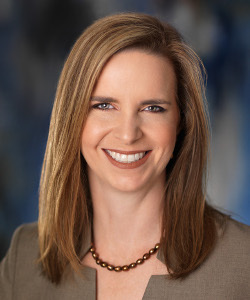 Dr. Borba is a former classroom teacher with a wide range of teaching experience, including work in a private practice with children with learning, and emotional disabilities She received a Doctorate in Educational Psychology and Counseling from the University of San Francisco, an M.A. in Learning Disabilities and B.A. from the University of Santa Clara, and earned a Life Teaching Credential from San Jose State University. She lives in Palm Springs, California with her husband and has three grown sons. ABOUT THIS SESSION: Empathy is often sidelined as a “soft skill.” In Dr. Borba’s presentation, Empathy is a Verb, she will offer hard evidence that empathy is one of the most important skills that 21st Century learners will need to thrive in a complex, global, and digitally-driven world, and why it must become an educational and societal priority. She will share ways that educators around the globe have weaved empathy-building practices into existing lessons and helped students to develop emphatic mindsets in a test-driven culture. Dr. Borba will provide practical ways to create positive outcomes by cultivating empathy in your school. She will share her decade long journey to discover how to optimize human potential. Surprisingly, it was children from Canada to Rwanda (and numerous places in between) who offered the best ideas to cultivate empathy. The best news: if applying these simple strategies together we can revolutionize not only our schools and homes, but also society…and build the best investment for our future: human capital. 2:15 p.m. to 2:45 p.m.
TASL credits for administrators and CEU credits (NBCC) for counselors will be available for attending the Institute. Details will be provided on site. Do you need help justifying this conference to your Supervisor? Vying for a good funding source can be challenging sometimes. We have created a letter for you (Modeled from ASCA) to customize according to your needs to support your efforts to attend the 2019 TN School Counselor and Leadership Institute! Includes attendance to a Pre-Institute Learning Session. PLEASE NOTE: There will be no refunds after August 30, 2019. All cancellations before August 30, 2019 will be refunded less a $25 handling fee. The institute is not responsible for and cannot give refunds due to problems beyond its control such as weather or school closings. 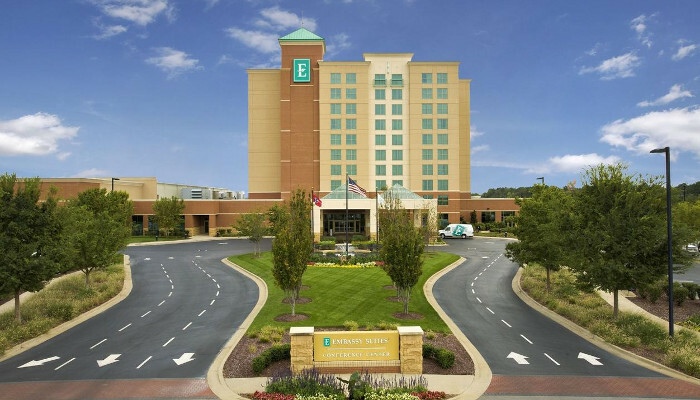 The Embassy Suites, the Institute’s host hotel, has a conference rate of $146 per night, plus tax, which remains valid for reservations made by September 1, 2019, while rooms are available. The price includes full, cook-to-order breakfast and evening Manager’s Reception. CALL: (615) 890-4464 or (800) 362-2779. Please be sure to tell the hotel that your group / convention code if “CAL“. In the evening, make sure you take time to relax and enjoy the surrounding area. Click the images to see the things to do around the beautiful Embassy Suites. Visit The Avenue, just minutes away and in walking distance from the Embassy Suites! You can sit back and relax at the many restaurants at The Avenue, such as Romano’s Macaroni Grill, Longhorn Steakhouse and Chili’s Bar and Grill, along with others. At The Avenue enjoy shopping at the Ann Taylor Loft, White House / Black Market, Off Broadway Shoes, Forever 21, and many more!